In layman’s terms, what Yonex is trying to do is to fight with the other racquet makers in creating a spin-friendly, light, yet controllable frame, much like the Blades or the Strikes (they do already have the DR98 to be fair) The sweet spot around players’ racquets these days seem to be 98 inch, 305 grams, 70 stiffness unstrung (66-67 strung) and with a 16×19 string pattern and Yonex VCORE SV 98 really fits the bill here. The racquets do pretty much what you expect from them. They’re relatively easy to swing and quite stable despite the relatively low weight. The stiffness may bother some (potentially many), especially when paired with a poly (and to be honest, it seems weird to use this kind of frame without a poly string), but it does appeal to a wide user group since you get good spin and decent control in a user-friendly package. If you look at the TW reviews, the feedback for all of the frames in the Yonex VCORE SV series is pretty much the same – it is easy to swing, spin-friendly, but not that comfortable and lacking feel. 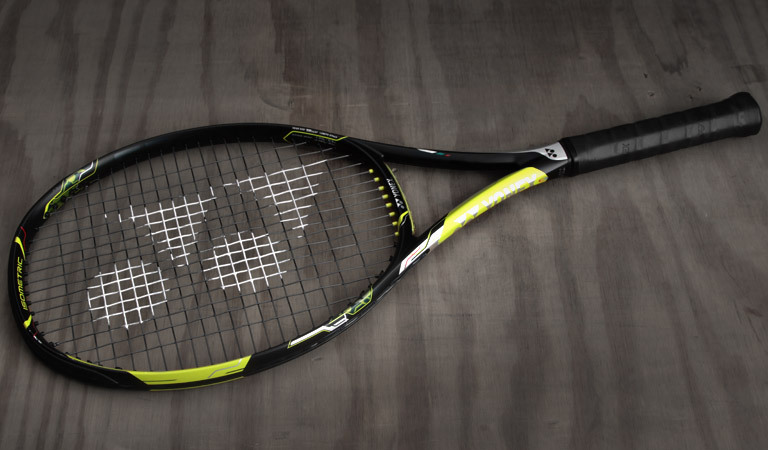 I think these are things you’ll see with most frames in this spec range, but personally I really appreciated the Wilson Blade 98 (2015) because I think you got good feel despite its lightness and stiffness and I have yet to try the new Babolat Pure Strike (2016). I still find it strange that the racquet manufacturers such as Yonex doesn’t try to sell even close to the model of their biggest stars – most racquetholics know that Wawrinka plays the 95D and not the VCORE 97 Duel (330g), but they persist that this is the case. Why not use this moment to sell the exact specs of Wawrinka under the VCORE SV 95 ? 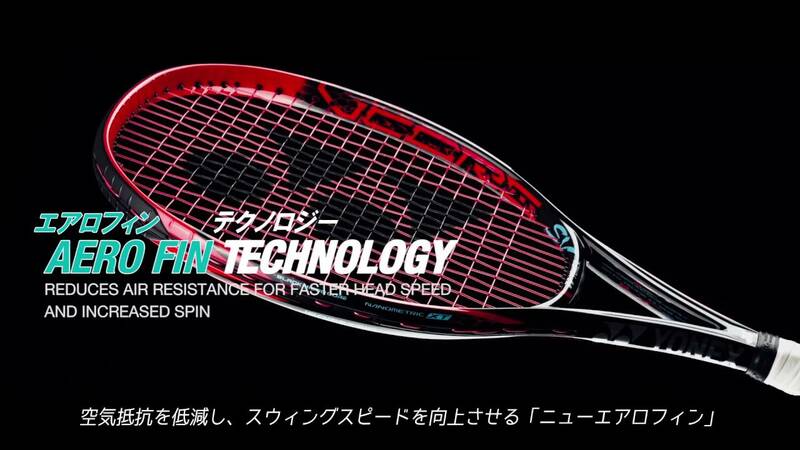 And if you can’t sell the exact specced racquet, why not at least get the head size of the player right? I think racquet brands should release signature editions with light and ultra light versions, exactly what Wilson is doing with the RF97 Autograph. Why doesn’t Yonex have a Stan the Man autograph (I blogged about this situation previously here)? I’m sure they can charge for the exact same model that Wawrinka is using, the same Wilson is charging a premium for the Pro Staff RF97 Autograph . Anyway, time to stop ranting about the pro stock tennis racquet situation. The Yonex VCORE SV series is out and I’m sure they’re worth a swing, because is a high-quality producer who seems to understand the player segment well. However, I still think their top seller (rightly) should be the DR98. Oh, by the way, why not try to work a bit harder on the naming of the different frames? Have you tried any of the VCORE SV models? Please write your feedback in the comments. Switching to this racket from the DR98. More height and spin with added power = more depth and penetration. Less bulky and more maneuverable than the DR98. Loving it everywhere but the serve is taking a bit more of an adjustment than the rest of my game. Hi, i just switched to this racquet from Wilson rf 97 315 gm. 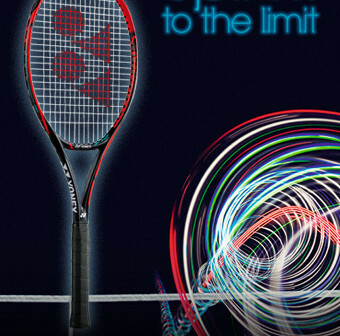 I must say Wilson its a phenomenal racquet. But stiffness of that racquet started showing on my arm. I am a Left arm player, single handed back hand. Just switched over and instantly I realised its a easy one to toy around. Just ten grams lesser but feels a ton lesser than Wilson. Good job to yonex. Forehands are good, backhands were precise and powerful. Serves were good. Sounds great! Yes, the Wilson Pro Staff 97 can be quite stiff unless you string it with a multifilament or a hybrid string setup. Heard many good things about the VCORE line. Hope you avoid the arm pain and that you enjoy the racquet!